Part of the Michael Miller Into the Deep Collection. Dapper Seahorses - Key Lime. 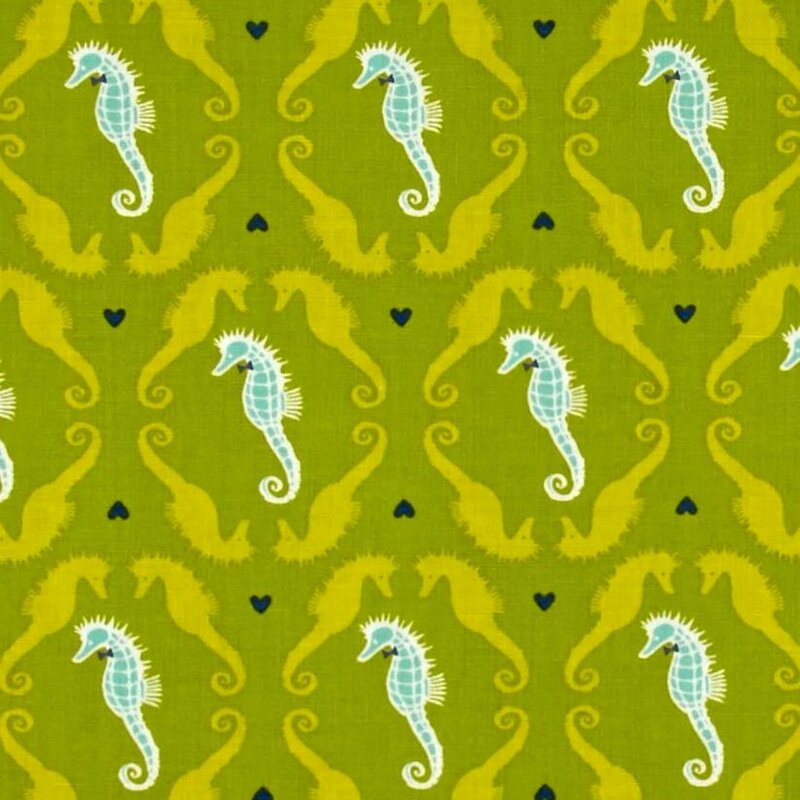 Key Lime green fabric with bow tie wearing sea horses. PS7107-KEYL-D; 100% Cotton; Machine Washable.